Growing older doesn’t have to mean that we give up on having quality of life. “I’m just getting old.” “Nah, I don’t do that anymore.” “I’m so afraid I might fall.” Do you catch yourself making any of those statements? Wouldn’t you rather be like the legendary cellist Pablo Casals, who was asked why he continued to practice at age 90? Many people accept and EXPECT limitations because they assume there are no options beyond pain medications and surgeries. Yet, thousands of people around the world have managed to avoid both, and actually improve and expand their movement possibilities. Participating in Feldenkrais Method® lessons, either privately with a Guild Certified Feldenkrais Practitionercm, or in Awareness Through Movement® classes, can put you on the road to continuing progress. The Feldenkrais Method is uniquely poised to offer you greater freedom and mobility while keeping your brain active. As you improve your attention, balance, flexibility, and movement efficiency, you also expand your capacity for resilience and resourcefulness when life offers you challenges. 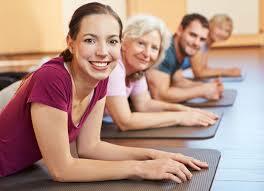 Feldenkrais® lessons are not like traditional exercise or therapy. 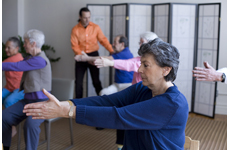 They offer a new way of learning about how you move, and how you move through life. So whether it’s playing music, hiking on a trail, or picking up your grandchild – the Feldenkrais Method can help you to create better quality in everything you enjoy.